Dr. Vino is so right. Beaujolais Nouveau is an ecological nightmare: this marketing ploy invented by Georges DuBoeuf in which all points of the planet receive “new,” raw wine from Beaujolais on the third Thursday of November, the globalizing of a tradition that dates back to the seventies, just POURS carbon into the atmosphere through shipping millions of bottles of wine by plane rather than by boat. There is no redeeming aspect to the tradition of Beaujolais Nouveau, except that of sentimentality and the gateway aspect of the wine. It’s simple and accessible wine, and yearly the “nouveau” hubble-bubble causes many new people to try wine that wouldn’t normally. I will always be a fan of any wine or wine event that helps wine-shy folk able to try a wine they’ll like. But at what cost to the Earth? That being said, I am sentimental, and I really enjoy the taste of Beaujolais Nouveau. Also, I’m an a phase of selling out my principles in order to bring myself pleasure. Not every time, but much more often than I care to admit on the worldwide interweb. So for a camping trip this past weekend, I simply could not resist picking up a bottle of Dom. 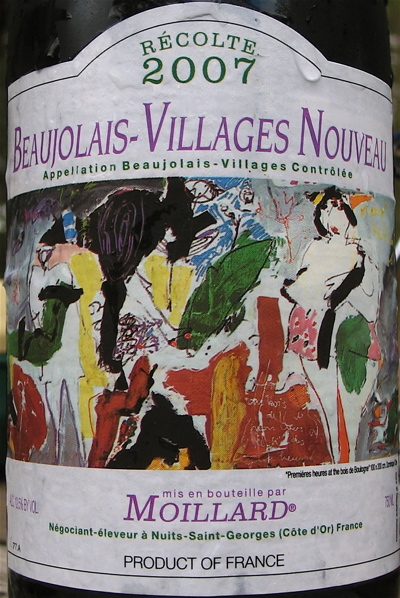 Moillard Beaujolais-Villages Nouveau 2007 at Central Market. Plus, I didn’t think there was any such thing as a Beaujolais-Villages Nouveau! I think I paid $12 for it. This wine is imported by a small Houston firm called Horizon Wines. Domaine Moillard is a Burgundy house, located in Nuit-St-Georges with an atrocious website, and I can’t even find any evidence on their site that they do a Nouveau. Evidently founded in 1789, they’ve recently started producing only “lunar-organic” wines, which I think they mean as biodynamic? Brooklynguy visited them once, here’s his account of the pleasant time he had there. 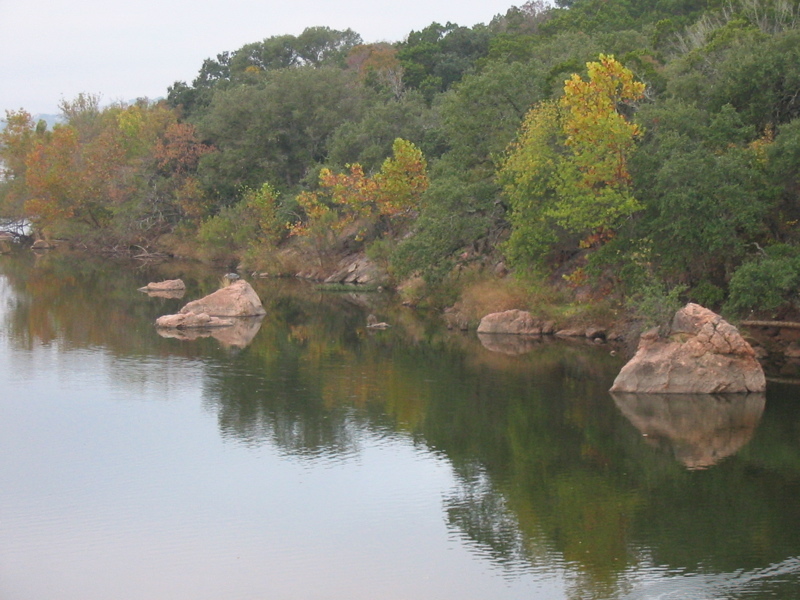 What better wine to toss in the ice chest and open up on an overcast 75 degree November afternoon up at Inks Lake State Park? I also picked up some tasty meats and cheeses, along with some fresh bread. Yum! After a long day of looking at teardrop trailers, my beloved and I wandered back to camp and popped the cork on my month-old wine. As you can see from the photo, I didn’t get to have a look at the color at the time, but I did pour the last of the wine into a glass this afternoon, and it was a bright, clear magenta in color. On the nose, that typical hint of banana from the carbonic maceration, along with cherry and strawberry. Nice, not too raw in aroma. On the palate, bright and juicy, with pronounced grape flavor, as well as red berry fruit and a mild, slightly scratchy tannic grip. Simple, and an enjoyable chilly quaff. Nothing fancy; not that I was expecting it! This is a great wine for pizza, spaghetti, goulash, chili… any rough, homely fare. I confess that it did not shine with my deli tray. 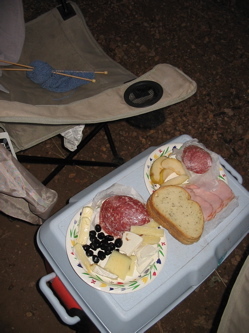 I had packed some dry Italian sausage, some sopressata, Canadian bacon, ricotta salata, brie, and a 3-month manchego for camping, along with some oil-cured olives and rosemary bread. The Beaujolais Nouveau wanted less rich cheeses and meats, and more ketchup. 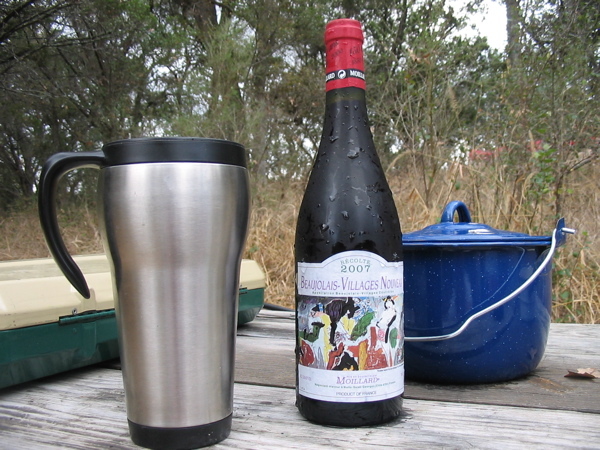 But the meal was great and the wine was lip-smacking, and I enjoyed kicking back in front of the campfire and swilling my young wine out of my camp mug. Rustic! I don’t think you’ll have much luck finding Moillard Beaujolais-Villages Nouveau 2007 outside of Texas; I can’t find it anywhere on the web for sale online. If you’re in Texas, you can find it at Central Market Westgate for sure, and it’s been at Grapevine Market in recent years. 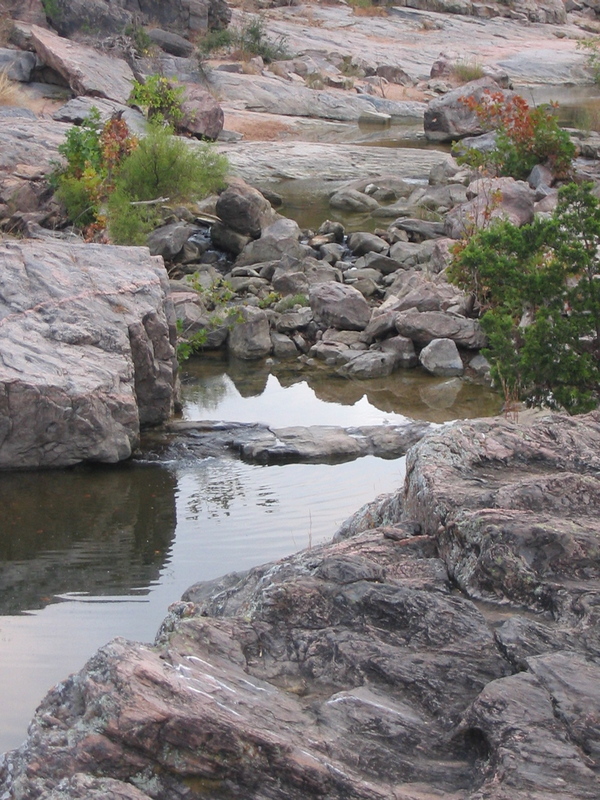 I’ve included some more pictures from our camping trip, as it was SO beautiful that I simply must share (gloat?). My husband and I came here on our honeymoon last year, and it was a pleasure to return. If we give up on all thing shipped by what would the world come to. No more Maine lobster? 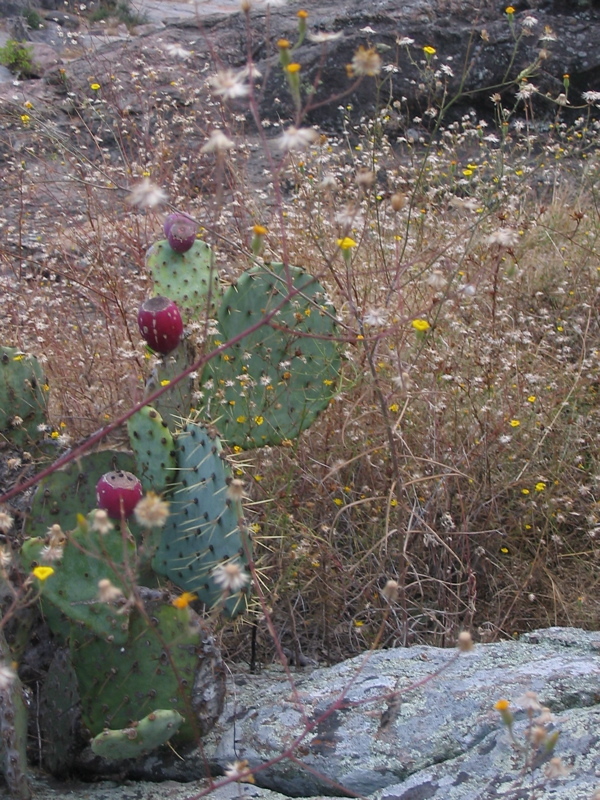 Hi Scamps – thanks for the shout-out. Moillard is such a big house and production probably changes a bit each year. In any case, it’s probably safe to assume that the Beauj N is not what they try to promote from their cellars. I re-read my post about the visit there, which happened almost exactly a year ago – thanks for the memories. By the way, if you haven’t done so, check out the link I gave for those German guys writing for Black Ink about their Burgundy visits. Highly addictive, They added a 07 visit, which includes a stop at Moillard Grivot. Sorry about that Crystal. I fixed it and it should be in the upper right for now. We (i) made a small change the other day that kinda boogered that up. Thanks for bringing it to my attention.